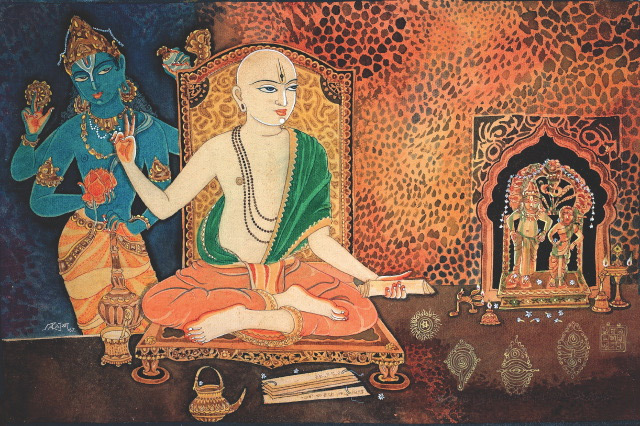 Sri Narayana Panditacharya’s ‘Mani Manjari’ is a work of 301 slokas divided into eight chapters. Traditionally, it is the first text taught to Madhvas. It is among the three works on Sri Madhvacharya – Sri Hari Vayustuti and Sri Sumadhva Vijaya, being the other two – that has had a long tradition of being recited with devotion among orthodox Madhva circles. According to Dr. BNK Sharma, it is an essential prologue to Sri Sumadhva Vijaya. In the collection of essays on Sri Sumadhva Vijaya by Sixteen Eminent Scholars, released in Srirangam in late sixties, Sri Narayana Panditacharya is mentioned as amsha of Sri Subramanya, though no pramanas are given. Vanaras and Hanuman were not monkeys but advanced civilized race that was going down as new humans evolving. Western confused Hindus. The world of plants is central to the Ramayana, and this Indian pre-historical book written in long poem describes several trees and plants that are geographically accurate, and even today, the plants that are described are found growing in the exact locations all over India where Valmiki, author of the Ramayana, has placed them. It is both geographically and botanically correct.